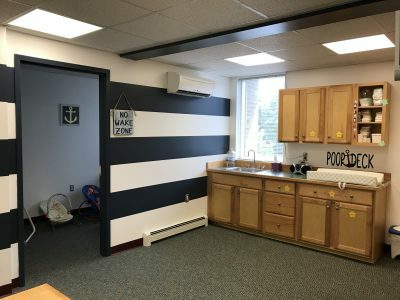 NEW CREW Nursery is where the Disciple-SHIP Journey begins. We want to take special care of our Littlest Crew Members. 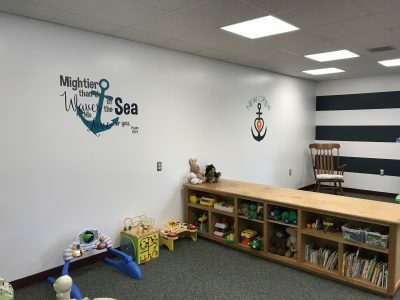 The NEW CREW Nursery room is located right near the worship gathering area for close proximity. 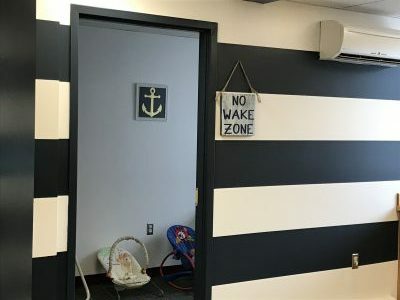 The room was part of a recent addition so it is up to all building codes. 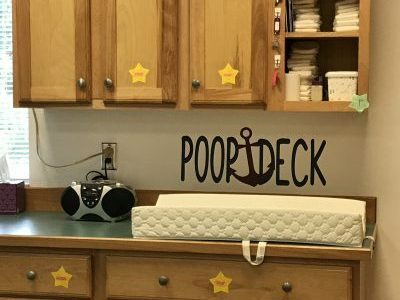 It was the first room to be recently renovated with our new Disciple-SHIP Journey theme so it has the nautical feel, but most importantly, it is staffed with the most caring individuals who will make sure your little one’s time at Southern Heights is filled with care and joy.